Lead your team of wizards in a nail-biting game of traditional dodgeball with a magical twist! Once a year, wizards and witches gather to witness one of the most popular sports found in multiple interplanar dimensions. Throughout the season, Wizard Dodgeball teams have been competing in the rankings. At the end of the year, the top 2 teams face each other. While the game is non-lethal, it’s nonetheless intense. Fireballs and rubber balls fly from one end of the field to the other constantly. Grab your wand and lace up your sneakers! It’s game time! 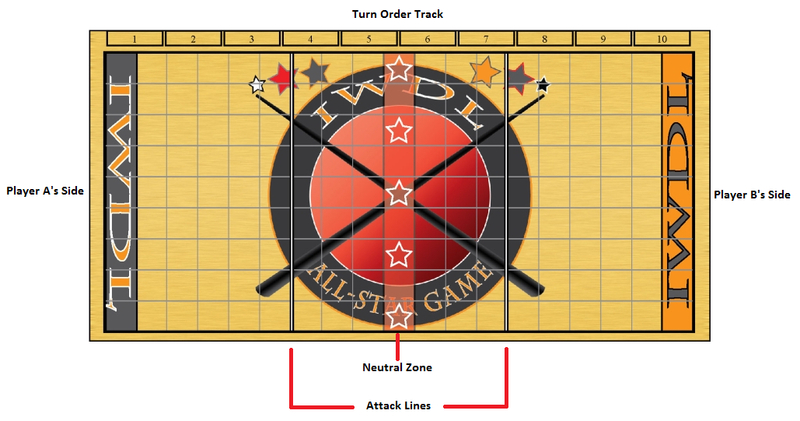 Wizard Dodgeball, designed by Peter Newland and made available through Mind the Gap Studios, is comprised of 1 game board that represents the dodgeball playing field, 24 Wizard markers, 24 Wizard Stat cards, 24 Jersey cards, 20 Spell cards (2 sets of 10, one set per player), 48 Spell markers (2 sets of 24, one set per player), and 5 Ball markers. Players will need to provide at least 3 standard six-sided dice to complete the game component inventory. As this is a print-and-play game, the game component quality is literally dependent on the individual who puts it together. 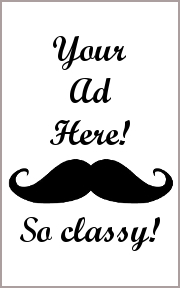 Our copy was created and sent to us by Mr. Peter Newland. We asked him to provide us the best copy he could so we could better understand the game’s full potential. What we received was exceedingly well made and very durable. Note: The owner of the game must print and build the game prior to playing it. This is a lengthy process, and if done right, will result in a beautiful game. The more time you spend building and crafting the game components, the better the outcome. To set up the game, first place the game board in the middle of the playing area and between the two players. Players should sit at opposite ends of the game board and face each other. Second, take and shuffle the Wizard Stat cards and deal out to each player 5 cards. 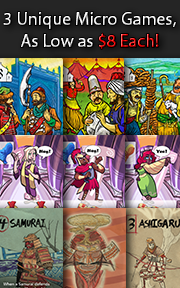 Deal the cards in a row in front of each player from the player’s left to their right. This determines the playing order in which the wizards will compete in the dodgeball game. Any Wizard Stat cards not dealt are returned to the game box and are out of the duration of the game. Third, find and hand to each player the matching Jersey cards and Wizard markers that belong to their 5 Wizard Stat cards. Each Wizard Stat card has a jersey number. This number will be visible on the Jersey cards and Wizard markers. Any Jersey cards and Wizard markers not used are returned to the game box and are out for the duration of the game. Fourth, each player should now place their Wizard markers in their “starting zone”. The starting zone is the row that is immediately in front of them and the furthest away from their opponent. Players can place their Wizard markers on any of the available squares in the row, but only 1 Wizard marker can ever occupy a square at time. Fifth, place the Jersey cards so that their order matches the same order in which the Wizard Stat cards were dealt. The corresponding Jersey card number value that matches the first Wizard Stat card dealt will be placed in the “1” position found on the Turn Order track located on the game board’s edge. The remaining Jersey cards are then placed accordingly. Sixth, hand to each player their set of 10 Spell cards. Located on each Wizard card is a number under the reference title of “Spell”. This number indicates the wizard’s spell points. Total these numbers for all 5 of the Wizard Stat cards. This is represents the team’s total spell points. The players now “spend” their spell points to purchase Spell cards. Any spell with a singe effect (Fireball, for example) costs 1 spell point. Any spell with a double effect costs 2 spell points. Once the player has purchased their spells, any unselected Spell cards are returned to the game box and are out for the duration of the game. The player then finds and collects the Spell markers that match their selected Spell cards. Any unused Spell markers are returned to the game box and are out for the duration of the game. Seventh, place the Ball markers on the center “neutral zone”, one per star image. Place the Spell markers and the dice to one side of the game playing area and within easy reach of all the players. That’s it for game set up. Let’s play dodgeball! Wizard Dodgeball is played in turns and rounds with no set number of turns or rounds in a single game. A single round is comprised of no more than 10 turns (5 turns per player), but the total number of turns in a single round will fluctuate during the game. Turn order is determined by the Jersey cards found on the Turn Order track. A typical player’s turn is summarized here. On the player’s turn, when the Turn Order sequence indicates that a wizard they currently control now has a chance to participate in the game, they can take up to 2 actions. The same action can be taken twice if the player believes it necessary. The actions are summarized here. Movement on the game board is counted by squares. The total number of squares a Wizard marker can move is based on the movement number value found on the Wizard Stat card. A player is never required to move a Wizard marker and can move the Wizard marker fewer squares than the maximum allows. Wizard markers can be moved horizontally, vertically, or diagonally on the game board. Wizards can move onto the neutral zone, but can never move across it to their opponent’s side. As a free action, a player can pick up a Ball marker that is located on any square adjacent to their currently active Wizard marker. The ball is now in the wizard’s hand but only one ball can be carried at a time (the wizard’s other hand is equipped with a wand or a staff). A player can also drop the ball as a free action, placing it on any unoccupied square adjacent to their currently active Wizard marker. This is a great way to move the ball without having to spend an action to pass it to another wizard. If the currently active Wizard marker is holding a Ball marker, it can be thrown at an opponent’s wizard or passed to another wizard on the player’s team. Regardless of who the intended receiver of the throw or pass is, the target must be in line of sight. Line of sight is defined as a direct path between the Wizard markers that does not contain any other Wizard marker. Before throwing or passing the ball, the player must first determine the intended target’s distance. Located on each Wizard Stat card is a Physical Range value. There are three possible ranges. These include “Normal”, “Close”, and “Long”. While the three possible ranges are universal to all wizards, the total distance is not. Some wizards are stronger and their “normal” range is very different from another wizard’s. The Physical Range value found on the Wizard Stat card defines the number of squares away from the Wizard marker that is considered “normal” range. For example, if the Wizard Stat card had a Physical Range value of “6-8”, this would mean any target that was within 6 to 8 squares away would be considered in “normal” range. If the range between the two Wizard markers falls below the “normal” range, it’s considered to be in “close” range. Further means the target is at “long” range. A number of standard six-sided dice are then thrown based on the range. After rolling the dice (or die), any attack bonuses are added to it. This total value is the Attack Score. The opponent now attempts to dodge the ball. If the target is holding a ball, they will roll 3 six-sided dice. If not, they roll 2 six-sided dice. In either case, after the roll the target’s dodge bonus is applied. This total value is the Defense Score. If the Attack Score value is HIGHER than the Defense Score, the target has been struck by the ball and the Wizard marker is immediately removed from the game board. If the target is holding a ball, it’s dropped and the Ball marker is placed in the spot where the target Wizard marker was previously located. If the Attack Score is EQUAL to or LOWER than the Defense Score, the target dodges. If the target IS NOT holding a ball, the target Wizard marker is moved 1 square in any direction and the Ball marker is placed in the spot where the target Wizard marker was previously located. If the target Wizard marker is holding a ball, the target Wizard marker remains and the thrown Ball marker is placed adjacent to the target Wizard marker, between the attacker and the defender. A target has a slim chance of catching the ball. If the opponent rolls doubles (regardless of total Defense Score), and the target Wizard marker IS NOT holding a ball, the ball is caught! The player must now remove the wizard who threw the ball and their opponent gets to bring back into the game a previously removed wizard! When simply passing the ball to a “friendly”, the intended target must be adjacent to or within line of sight of the active wizard and not holding a ball already. A pass is always successful. Of course, wizards cast spells. The only spells the wizards can cast was determined during game set up. The active wizard can cast any spell that is currently available. Unlike a thrown or a passed ball, a spell has a defined minimum and maximum limit that it will travel. The total number of squares a target must be within is determined by the Wizard Stat Magical Range value. The Spell value on the Wizard Stat card is the number of adjacent squares the wizard can target. For example, if there was a grouping of 3 wizards that belonged to the player’s opponent who were adjacent to each other and the active wizard has line of sight on each of them, a Spell value of 3 would then allow the player to target each of the opponent’s wizards with 1 spell. A Spell value of 1 would allow the player to only target 1 of the 3 wizards. Spells are offensive and defensive in nature. If the spell is defensive, it’s automatically casted successfully if the intended target of the spell is within range and line of sight. The one exception is if the player is casting a spell to counter an opponent’s spell. In which case, the player must attempt to cast the spell like it was an attack. If the spell is offensive, meaning the player is attacking their opponent, the player rolls 2 six-sided dice. Then the wizard’s attack bonus for spells is added to it. The total value is the Attack Score. The Defense Score is determined by rolling 2 six-sided dice and adding the target Wizard Marker’s defense bonus for spells. If the Attack Score is HIGHER than the Defense Score, the spell was not blocked or dodged and the Spell card is placed on the target Wizard marker’s Jersey card. Effects of the spell are immediate. There it will remain until the currently active wizard’s next turn. If the Attack Score is EQUAL to or LOWER than the Defense Score, the spell was blocked or dodged and the Spell card is placed on the currently active Wizard marker’s Jersey card. It, too, will remain there until the currently active wizard’s next turn. A target has a slim chance of not only blocking, but deflecting a spell back at the caster. On a roll of doubles (regardless of total Defense Score), the spell is bounced back and the active player must now attempt to dodge their own spell! 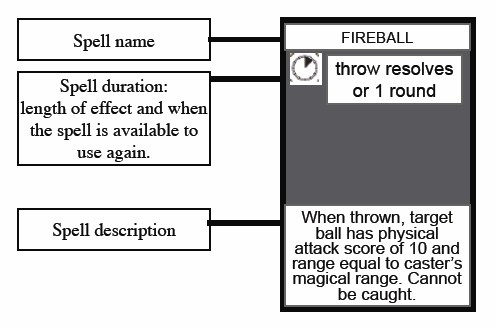 Failure to do so (using the rules above) will result in the spell’s effects impacting the active player’s wizard. A deflected spell cannot be deflected again. Once a spell is cast, regardless of its outcome, it is temporarily unavailable. These spells will become available again at the end of the turn of the wizard that cast them. Wizards are removed from the game if they are struck by a ball, step out-of-bounds, cross the neutral central line that divides each players’ side, or an opponent’s targeted wizard catches a ball during a throw. Eliminated Wizard markers are simply removed from the game board and placed to the side or they can be put on their matching Jersey card. An eliminated wizard can return if a thrown ball during an attack attempt is caught. 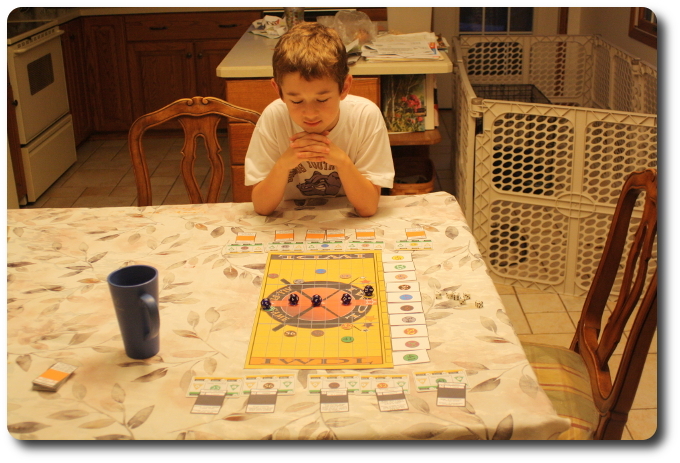 The game continues until one player has eliminated all of their opponent’s wizards from the game board. To learn more about Wizard Dodgeball and download the necessary components to create your own FREE copy, visit the game’s official web page. At a glance, Wizard Dodgeball appears to be an easy to learn sports like board game. For the most part, sports games have been well received by the Child and the Parent Geeks. I see no reason why Wizard Dodgeball will not be approved by these two groups. The Gamer Geeks are somewhat fickle when it comes to sports games and their general approval is based more on the strategy and tactics available in the game, rather than the sport being simulated. Wizard Dodgeball is seemingly a game that will allow the most elitist of gamers an opportunity to flex their strategic and tactical brain muscles. Right from the start, when the players are building their team, they must consider each wizard’s strengths and weaknesses, purchasing Spell cards accordingly. Once the game gets going, tactics and strategic actions should be common place. 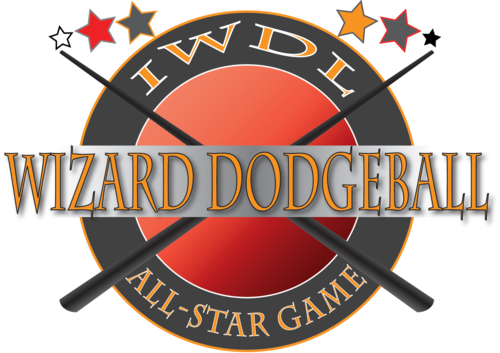 As such, I think Wizard Dodgeball will be well received by the Gamer Geeks. Teaching the game is very straight forward. The number of actions a player can take are few in number and each makes sense within the context of the game’s theme and narrative. The only portion of the game that will be difficult for young or inexperienced players will be the Spell card assignment portion of the game set up and remembering how many dice they will need to roll when attacking or defending. Both of these hurdles are exceedingly small, however, and the learning curve is an easy one. Do expect to remind the players from time to time and answer questions as you play. It’s easy to forget some of the game rules in the heat of the dodgeball battle! After teaching the game to my 6 and 8-year-old, I asked them their thoughts on the game so far. Note that Wizard Dodgeball does require a player to read, but what is being read is common table knowledge. This means that younger players who are not yet reading or need help with some of the reading can play against older and more experienced players without reducing the game’s fun. This was great news to my 6-year-old. Let’s play and see if the game hits the mark or smashes us in the face. It took most of our Child Geeks a full round before they really understood how to play the game. After they did, they loved it, as predicted. The Child Geeks demonstrated excellent virtual ball and spell throwing marksmanship, too. This is an easy game to visualize in a player’s head and we didn’t come across any Child Geek player who was not already familiar with dodgeball or a stranger to games where spells were common place. The Child Geeks tended to disregard any tactics or strategy and went for the kill each and every time. This resulted in all the Wizard markers being very close to each other and most games ending in a virtual wizard beat down. Not once did a Child Geek cry or speak poorly of the game. From the very first step to the very last ball being tossed, the Child Geeks had a blast. They all approved the game with enthusiastic cheers. The Parent Geeks also thought the game was a good one and were particularly pleased that the game was freely available. According to one Parent Geek, “I can’t believe the game designer is letting people play this game for free! I could totally see this game being sold on a shelf.” And so did many other Parent Geeks. The game rules are tight and the game play is fast and fun. The game was well received at both the family gaming table and when Parent Geeks went one-on-one with a peer. All the Parent Geeks, including non-gamers, demonstrated a firm understanding of the rules and there were many tactical and strategic moves made. When the games were over, the Parent Geeks who joined us all voted to approve the game. The Gamer Geeks were pretty much onboard right from the start. If the game was just about dodgeball, I would predict they would still have fun with it. But this was dodgeball with wizards! No self-respecting Gamer Geek would turn their nose up to a game where a player could teleport and then toss a blazing fireball at an opponent. According to one Gamer Geek, “This is a solid 2-player game full of strategy and tactics. I am very impressed with this game designer’s work.” Another Gamer Geek said, “This is a fast game, but I wouldn’t say it’s light. There’s some important things to think about during set up that will impact a player’s game and the amount of thought put into some of my moves made me feel a bit stressed at times. Awesome game.” Where the game really did well with the Gamer Geeks were the spells. The ability to customize a team and purchase different spells really appealed to them. All the Gamer Geeks approved Wizard Dodgeball and found it to be one of the more enjoyable sports games played in recent memory. Wizard Dodgeball is a lot of fun. It’s an impressive game with excellent rules, fast game play, and exciting decisions to be made. All outcomes are quickly determined and players will be swept up in the game’s speed and ferocity. Do expect some heated exchanges between players as near misses and solid hits start to whittle down the players’ teams. When a player catches an opponent’s thrown ball, loud cheers can be heard from a distance. This is a game that can be very nail-biting most of the time, which makes it very engaging. Perhaps the most exciting aspect of this game is that it can be downloaded for free. Effort is necessary to build it, but the rewards are well worth it. Do download a copy of this game today and start putting it together. In no time, you’ll have a fantastic game you can play with your own family and friends. Tagged Father Geek Approved, Gamer Geek Approved, Parent Geek Approved, Print and Play Games, Sports Games. Bookmark the permalink.